This will be my 3rd year of doing big discounts on my various products for Black Friday and Cyber Monday. This sale has always been lucrative, giving products on my other site almost double the amount of monthly sales. If you are considering doing a BF/CM sale, I’ve learned a few things that may be helpful for you. 1. Yes, you should do a sale. If you’re on the fence, you should go for it. 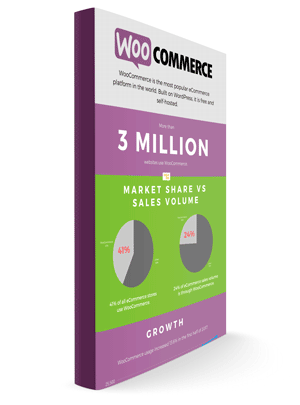 Cyber Monday was the biggest day in history for US eCommerce last year, and it is not just for the big boys. Smaller shops also had big revenue numbers. A lot of people have this notion that they don’t want to discount, because they want a brand like Apple. That’s great if you have a large group of premium customers and they expect that from you, but most of us are not in that category. As I wrote about before, discounts do not hurt your brand if used correctly. My brand doesn’t look like a “discount” brand when everyone else is discounting as well. Some people are on the fence about your product, and will never buy unless they get a little push. Some people are considering a competitor, but will buy your product because of a big discount. Some people will buy your product even if they never use it due to FOMO. A big limited time discount is one of the best ways to get customers who are on the fence or considering a competitor to purchase. I see these customers as building up over time, and a discount every quarter or so gets them over the hump, and increases your revenue. Even though discounting is a win in my opinion, there are some drawbacks. 2. Your customers will start expecting it. After doing big BF/CM deals two years in a row, our customers are starting to expect it. I have heard from several people that they are waiting for the discount, which did not happen before. There is always the danger of training your customers to expect a discount, and you don’t want that. I’m not concerned because BF/CM has already trained consumers to look for discounts, I’m just playing along. The data I have from the past couple of years shows that total yearly revenue is much higher with the sale than without it. People who really need your product won’t wait for a discount, because they have a project right now. They can’t wait a month or two until Cyber Monday. The real danger is in discounting too often, which will make everyone want a discount all the time. You’ll want to make sure that your servers can handle the extra traffic, and your team is ready for more support. Make any last minute tweaks to your site, and be sure that any new processes are tested and ready to go. As you being prepping for your big sale, here are a few tips to maximize revenue. Any time I want to get a lot of eyeballs on my promotion, I do 3 things. 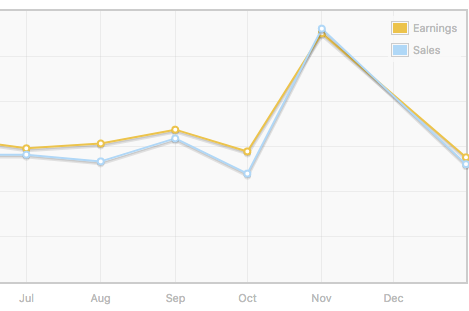 Most of my sales come from my email list, and they tend to ramp up with the most sales being on the final day. I’m really sensitive about not spamming my list, so I send 2 or maybe 3 emails about the promotion. I have friends who send 4 or 5, it’s up to you. You want to make sure to announce the sale when it starts, then send one or two when the sale is about to end. Most people purchase right before the sale ends, so be sure to give them a last chance email. The subject line should say “Last chance” or something to that effect, and keep in mind people don’t always open emails right away. I’d send the last chance email 12-24 hours before the sale ends, depending on your audience. Pro tip: if you have good email segmenting you can send the email only to people who have not purchased yet. This will save you some of the people complaining because they purchased the week before the discount went live. This may seem obvious, but the point is that there is a max-revenue sweet spot with your discounts. A discount that’s too small won’t get enough attention, but too big and it can hurt you. For me, the sweet spot is 40%. It’s big enough to feel special, but I think if I went to 50% it would not make enough extra sales to be worth it. It may take some testing to find your sweet spot, you can a/b test or just run different discounts each year and compare. I like to use a header banner to advertise the sale. Of course I use Holler Box Pro for this, which allows me to only show it on certain pages. I show it only to logged out visitors, and only on the main site pages (don’t want it on the account page for example). I’ve also drafted blog posts for the sale, because it’s nice to have a link you can use in your emails and social media. The problem is that it stays up on your blog, and customers find it later. Then they wait for the discount, or ask for it after it ends, which is annoying. 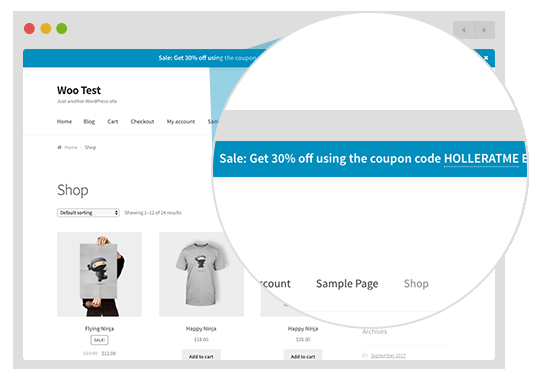 A better idea is to create a landing page that is up temporarily, then take it down once the sale is over. 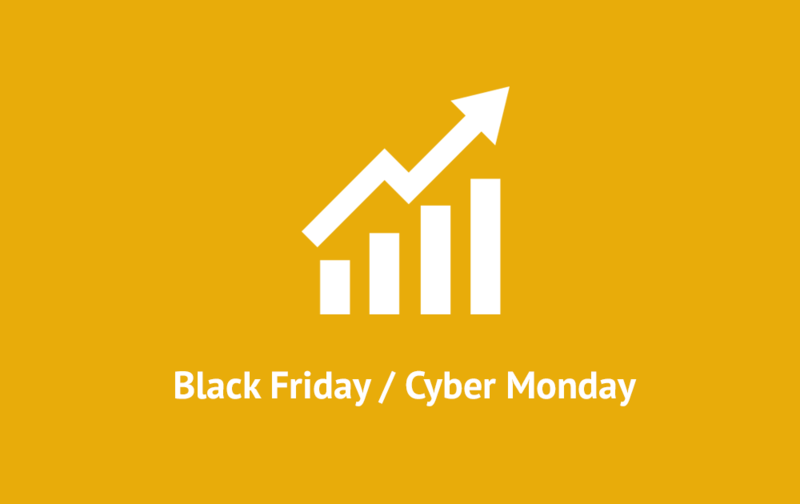 A Black Friday / Cyber Monday sale can be great for your business. If you do it right, you can see a huge increase in your revenue, helping you end the year right. Nice post, Scott. Short and to the point. I like your approach on 40%. While I don’t have any experience selling products, I do keep an eye out for deals on products I’ve been considering. When the discount is super-huge, I often get the sense that the product is of lesser quality. I realize this isn’t always true, but it is my perception. But 40% is enough to stand out from the all-too-common 25%. Quick thought on… “Some people will buy your product even if they never use it due to FOMO.” Is this really a win for your business? I don’t know the answer, but that line made me think if just taking a client’s money without them ever using your product is truly a win. In the short term, sure. You get their money and don’t have to invest any time/support. And I don’t think you were implying this, but you would never want to run a sale to attract this kind of customer… would you? Hey Dave, it’s not ideal to have people buy your product and not use it, but it’s revenue you would not have otherwise. If it can be used to improve the product for those that use it, that’s a win in my book.